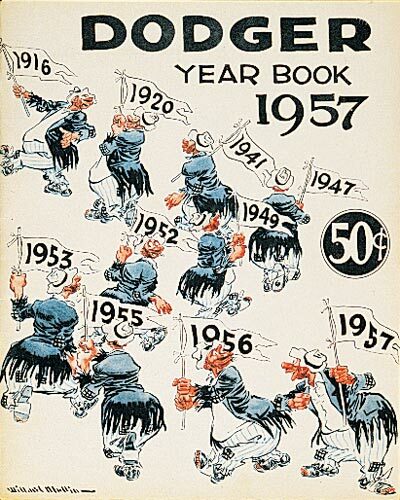 The 1957 season was a most difficult one for the Dodgers on and off the field, as rumors swirled about where the team was going to be playing in 1958. For the second consecutive season, the Dodgers played a series of “home” games at Jersey City’s Roosevelt Stadium, this time eight total and the Dodgers went 5-3 overall. 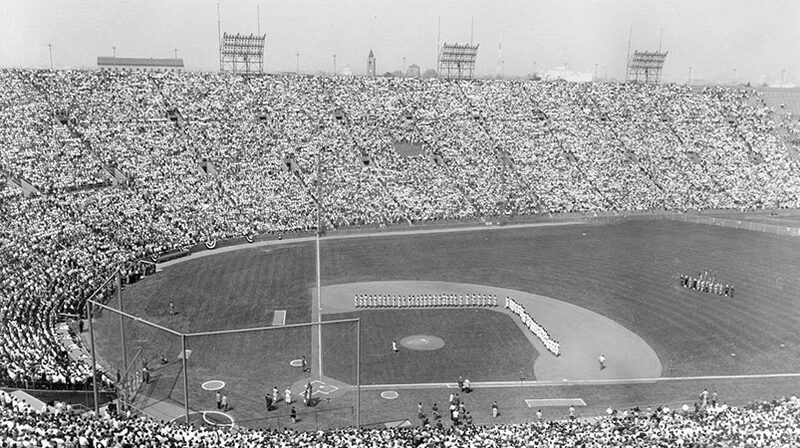 The last game played at Roosevelt Stadium was on Sept. 3, 1957 as the Dodgers lost to Philadelphia, 3-2 in 12 innings. In two seasons at Jersey City, the Dodgers posted an 11-4 record. For the first time in 10 years, the Dodgers did not have the skills of talented Jackie Robinson, as he had retired after the 1956 season. While five teams were in the thick of the National League race until August 1, including the Dodgers who were just a game behind, in the next two weeks, Milwaukee won 11 of 12 games to push the competition back. By August 15, Milwaukee took an 8 1/2-game advantage and the Dodgers struggled to finish the season in third place with an 84-70 record, 11 games off the pace. 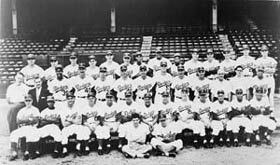 The 1957 Braves drew 2,215,404 at Milwaukee County Stadium, more than double the Dodgers’ home attendance of 1,028,258 at Ebbets Field. The Dodgers played their final game at Ebbets Field on Sept. 24, 1957, as Danny McDevitt hurled a 2-0 shutout over the Pittsburgh Pirates, thus ending the 44-year run of the ballpark. It was a quiet and somber affair, as only 6,702 fans were in attendance, bringing to a close the end of an era. Duke Snider hit the last home run in Ebbets Field (he hit his 39th and 40th) on Sept. 22. Sandy Koufax, who was 5-4 with a 3.88 ERA, made the final pitch for the Brooklyn Dodgers as a reliever in Philadelphia on Sept. 29. Young right-handed pitcher Don Drysdale emerged as a big winner with his 17-9 record and 2.69 ERA. Don Newcombe was 11-12, dropping 16 wins off the previous season’s stellar performance. Maglie’s magic disappeared as he went 6-6 before being sold to the Yankees. In the bullpen, Ed Roebuck turned in a fine season, going 8-2 with a 2.71 ERA. Snider had another 40-home run season to go along with his 92 RBI, while Gil Hodges batted .299 with 27 homers and 98 RBI. Trying to find a solution at third base, Alston used six different Dodgers at the position, including Captain Pee Wee Reese, who played 75 games at third. 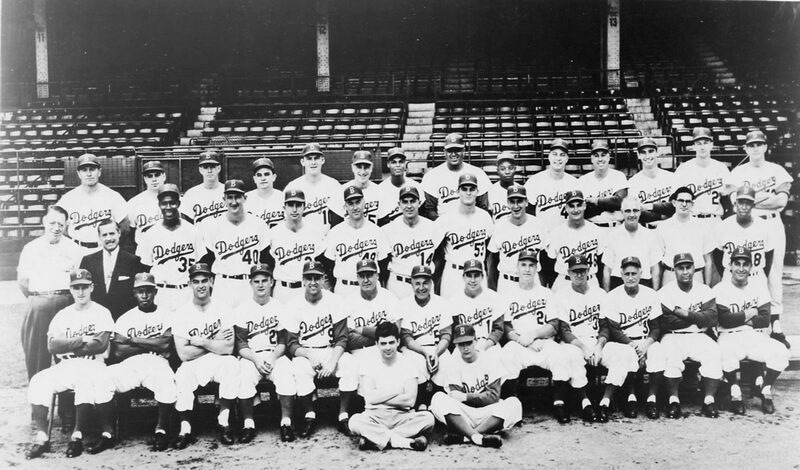 Not since 1949 had the Dodgers finished out of either first or second place, but Alston received his fifth consecutive one-year contract for 1958. Alston, however, would end up leading the Dodgers, not in Brooklyn, but in their new home in Los Angeles. On October 8, 1957, one day after the Los Angeles City Council voted 10-4 to enter into a contract with the Dodgers, Walter O’Malley announced the ballclub would be playing in Los Angeles starting with the 1958 season. 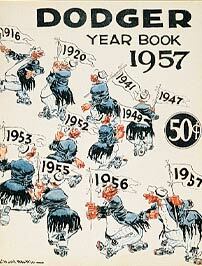 Click image for a larger view1957 Dodger YearbookCopyright © Los Angeles Dodgers, Inc.
Click image for a larger view1957 DodgersCopyright © Los Angeles Dodgers, Inc.